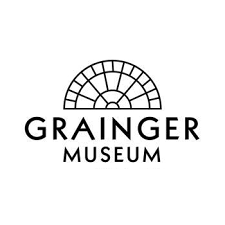 In 1966 Humble established the Society for the Private Performance of New Music (SPPNM) at the Grainger Museum. SPPNM members, mostly young composers such as Ian Bonighton, met monthly at the Grainger, for ‘performance workshops’ directed by Humble. Both traditional and contemporary music was played, including participants’ own compositions. 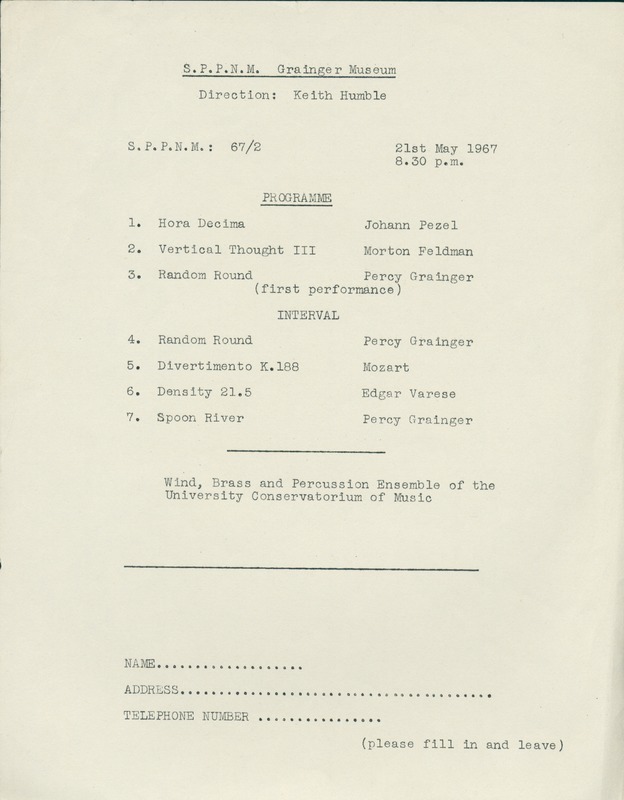 According to Humble, all the music was performed “in a ‘discovery’ kind of way, with a commitment made individually toward a musical event - a ‘composition’”. 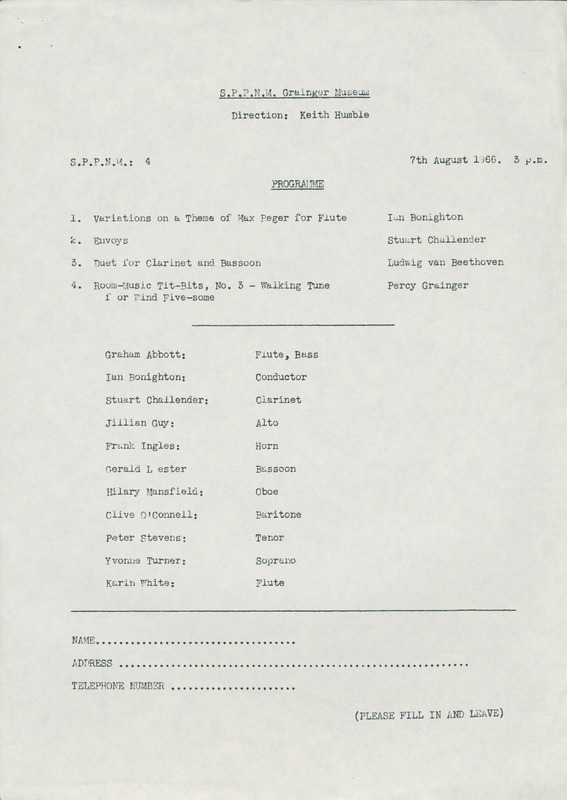 The SPPNM performed Grainger’s innovative aleatoric (chance) piece, Random Round on the 21st May 1967, in a program that included Morton Feldman’s Vertical Thoughts III, and Edgar Varese’s Density 21.5. 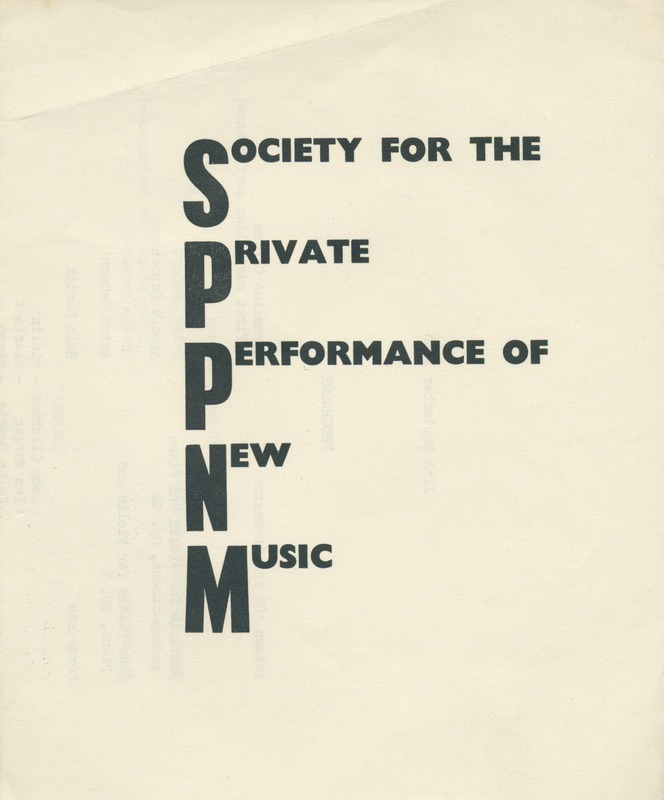 Society for the Private Performance of New Music, “Society for the Private Performance of New Music manifesto, and concert flyers,” Grainger Museum Online, accessed April 20, 2019, https://omeka.cloud.unimelb.edu.au/grainger/items/show/191.